Just got this kit free from the Lego Store in Manchester. I spent over £100, so that's why I got it for free, and I normally open these kits as soon as I get home and build the hell out of them, but as this had a limited edition label on it, I thought I'd check it out on EBay, and some of these are going for over £20!! I know it's not a lot of money, but, do I hold on to it and see if they go more valuable, or, do I just rip it open and build it?? 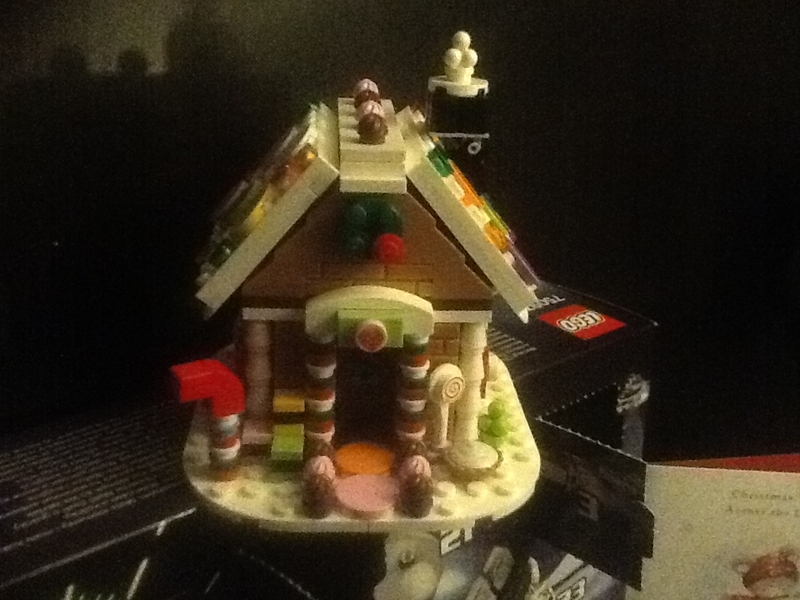 I bought the winter toy shop as like a Christmas display, got the gingerbread house free, and together, I thing they'll look good, so you opinions, and advice will be really, really appreciated. I love building, and I never buy kits as an investment, so please help!! Build it. It will never be worth much more than it is now. If the shop in Manchester still has them, and you have the spare money, spend another 60 quid on something you want and get another one, then you have 1 to keep and 1 to build ( mine stands proudly with my Santa's workshop). You only have 3 days though as the offer runs out on the 18th of December I think. Failing that, just build it, it makes a nice little christmas decoration. @CCC, many thanks for the reply. A set of that sort of size retails for about £20. It's unusual, at least when it comes to finding one on the High Street, but it's not giving much of a premium, is it? @TigerMoth, very true, if it was going for loads more, I'd have to re-think it, but £20 is not a great deal of money, and as stated, I never buy as an investment, I buy to build and enjoy, and this will look good on the little Christmas display. Thanks for the reply, much appreciated. Please excuse bad photo, camera quality not that good on my old iPad!! ^ glad you built it, is quite a nice little set and lots of extra little pieces , enjoy the view! @snowhitie, thanks for the reply, I'm glad I built it as well, enjoyed it if I'm honest, I'll build 10249 Winter Toy Shop tomorrow, I'm sure they'll look great together!! There were a lot of spares as well, some useful ones too, sure they'll come in handy. 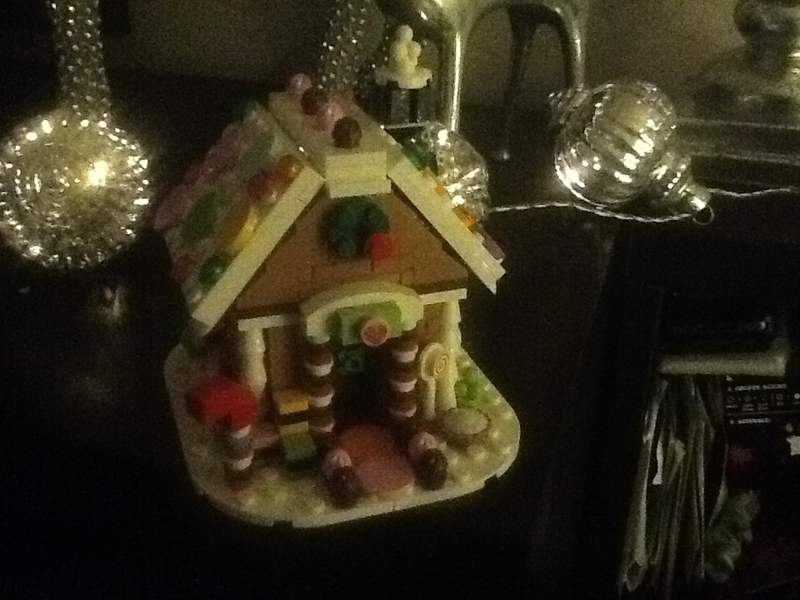 I also built it last night and placed the gingerbread man in front. Nice little set. @brumey: seems [email protected] does not add it to the cart any longer. What happens to inventory of sets like these once the promotional period is over? Most of them disappear before the promo is over. If any left in stores, they normally use discretion to give them away from under the counter. they normally use discretion to give them away from under the counter. They still have some Gingerbread Houses in the LEGO Store in Bluewater... Just got another one today, when buying the Palace Cinema that the other half said she would give me for Christmas! I've ended up with 5 of these, not because I went all out to get 5, but because I've visited the Lego store 4 times and ordered online once. Seems I should reduce my spend on Lego :) Not posting to brag btw, just to let people know I have spare that I'm willing to trade for polys. I have a thread in marketplace if anyone wants to trade. Got my copy yesterday with the Kwik-E-Mart that I ordered on-line for my wife to give me for Xmas. Neat little build.